Obesity, caused by everything from stress and poor diet to illness and sedentary lifestyle, has become increasingly common in recent years, and it is a major contributor to many serious illnesses. Many people find it difficult to stick to fad diets that guarantee quick, easy weight loss. This is because there is no such thing. A healthy body weight can only be achieved through an overall healthy lifestyle that includes healthy eating habits, regular exercise, and… acupuncture? Apart from acupuncture there are other effective home remedies that play a vital role in making your body slim and fit without any side effects. Examples of great remedies for weight loss include Aloe Vera, Bee Pollen, Honey and cinnamon, Coconut oil, Garlic, Lemons, Oolong tea, and Topiramate. That’s right, this ancient Chinese practice is now being used quite effectively to help people lose weight and keep it off. Acupuncture involves inserting thin needles into specific points in the body in order to stimulate certain nerves and energy centers and trigger healing. In the case of weight loss, the practitioner focuses mainly on the thyroid, mouth, stomach, spleen, and endocrine glands with the goal of regulating hormones that effect metabolism, appetite, and the absorption of nutrients. Yes, the thin needles that are inserted in such a way to regulate the production of certain hormones that play a primary role in metabolism, appetite regulation and nutrition absorption. Acupuncture unblocks the flow of qi (means the fundamental life force in Chinese philosophy) in the body and releases the blockage and restore the balance between yin and yang. Acupuncture is easy, safe, convenient, and effective, and it comes with no unwanted side effects, but remember that it is not a quick fix. It works gradually, and it works best as a supplement to an overall healthy lifestyle. Let’s take a more in-depth look at why it’s so effective. For many people, stress, anxiety, and frustration are major triggers for over-eating. An acupuncturist can insert needles in a way that triggers the release endorphins in the body, thereby reducing stress. It helps to reduce the stress and anxiety and there by overeating. Ghrelin hormone induces feelings of hunger while leptin induce feelings of fullness and satisfaction. Acupuncture can be used to manipulate hormone levels in order to suppress the appetite and make you feel satiated. Secretions of pituitary gland increase the rate of metabolism and help to stimulate the thyroid gland. The process of acupuncture re-energizes the hypothalamus and stimulates the pituitary which activates a sluggish thyroid gland and speeds up the metabolism. This automatically makes the body to use its idle and stored fats and finally helps to burn excess fat rather than storing it. Most people schedule 1-3 acupuncture sessions per week and start seeing results after about 9 weeks. During each session with an acupuncturist, he or she will insert many thin, sterilized needles into specific points on the body with the goal of suppressing the appetite, reducing stress, reducing cholesterol levels, improving blood circulation and increasing metabolism. These needles are about the thickness of a human hair and are relatively painless, though some people experience numbness and tingling. Once inserted, the needles remain in place, just beneath the skin, for 30 – 45 minutes. Acupuncture therapy also involves breathing exercises, herbal treatments, massage, and diet and lifestyle advice. Results vary from person to person. Different acupuncture points are selected for different types of treatment. Attend these sessions regularly until you reach the desired weight loss. The frequency and number of sessions depend upon the individual weight loss goals. To lose 5 to 10 pounds you have to attend for every 3 days or twice a week. The cost of acupuncture varies from one practitioner to another, generally ranging from $60 – 120 per session. Initial treatments are more comprehensive and cost more. 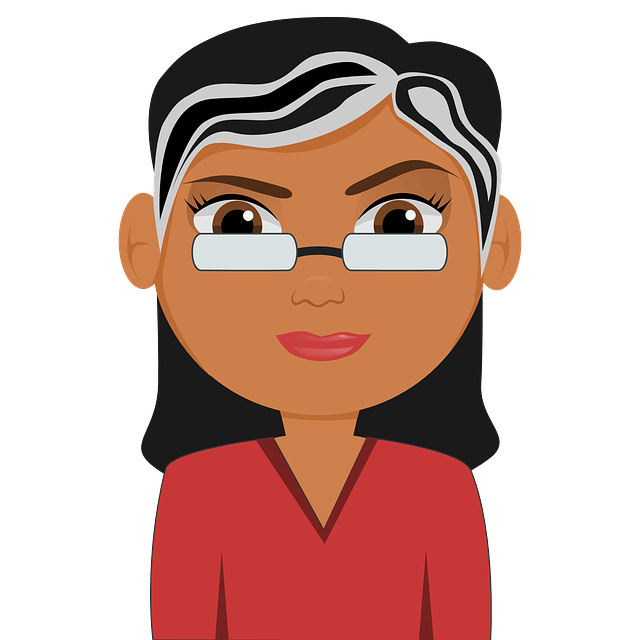 Once a patient has reached his or her goals, they see their acupuncturist 3-4 times a year to ensure that they remain on track. Techniques include massage therapy, electro-stimulation, cupping, moxibustion, and others, and may or may not be covered by your insurance. It may come as a surprise, but the ear is an essential point of focus during acupuncture sessions aimed at weight loss. There are about 130 acupuncture points on the ear, and they are stimulated using small tacks and seed–sized beads or magnets. The most common points of this process are shenmen, Tranquility and point zero ear acupuncture point. Mouth, endocrine point, small intestine, thyroid gland, spleen and hunger points are some of the points that also help to lose weight. Whenever the person (who is in this treatment) gets food cravings in between the meals then mild pressure is applied to these points or ear staples are rubbed. Then it stimulates the release of endorphins that induces a feeling of relaxation and contentment. There are many points on ear that helps in curbing the appetite and getting these food cravings under your control. Acupuncturist inserts the needles on the specific areas on the ear and stimulates them manually. Sometimes, ear acupuncture involves passing high-frequency electrical currents through the needles for extra stimulation. These ear seeds made from Vaccaria plant can be placed for up to 2 weeks with adhesive tape. Ear tacks are tiny needles with an adhesive backing can be placed for up to a week. If you are pregnant, taking certain medications, or have a heart condition or pacemaker, consult your doctor before getting ear staple treatment. Schedule your treatment with a trained and licensed acupuncturist and never try to do acupuncture at home. Make sure your practitioner uses sterilized equipment and surgical gloves to protect you from infection. Make sure you get ear staples cleaned regularly according to your acupuncturist’s recommendation. If ear staples become painful or infected, seek medical help right away. Laser acupuncture combines ancient Chinese technique with modern technology. Instead of needles, it uses non-thermal, low-intensity radiation beams. This method has been especially effective for treating addictions. Like needle treatments, laser acupuncture focuses on releasing endorphins to create a feeling of fullness while accelerating the metabolism to help shed weight. It stimulates certain points in the brain and body which decreases the food cravings, enhances endorphins secretions, expedites metabolism and all together decreases the appetite. Sessions last 30 – 40 minutes, and have to attend 2 to 5 sessions or continue until you reach desired amount of weight. Acupuncture magnets (ear magnets) are the products placed on certain points on the ear which are associated with organs that control bodily functions. For example placing a small magnet on a part of ear linked to stimulate the endocrine system and increase metabolism. Consult a certified acupuncturist or reflexology specialist who knows about acupuncture magnets for weight loss. He or she explains the technique and show you the places on the ear. There are 3-4 points on the ear where magnets are placed, and you wear them on both ears for 30 minutes to an hour each day. Treatment cycles last 6 weeks, with 2-week breaks between each cycle. They continue until you’ve reached your weight loss goals. This process also helps to cure other health problems like arthritis, cancer, HIV/AIDS but there is no scientific evidence to prove it. This treatment, invented in Japan by Dr. Junzo Kokubo, uses tiny balls that stimulate weight loss in the same way needles, lasers, and magnets do. The balls are about 1 millimeter in diameter, and your practitioner places A point in Fossa of Antihelis and point B in Concha of both the ears. These are called as pressure points. Whenever the patient feels hungry, they press these balls to decrease food cravings. Continue this regularly to get rid of weight. Patients typically lose 6-8 pounds a month. There is no scientific evidence to support the effectiveness of this practice. Cupping is the process of placing a glass container with a partial vacuum in it on the patient’s skin in order to produce suction on the underlying tissue to clear the problem. When acupuncture and cupping mixed then it is an effective method to lose weight. Acupuncturist place needle on the spot and then covers it with a glass container and they remain in place 20 – 30 minutes. But make sure to contact experienced practitioner. Only get acupuncture treatments from a trained and licensed practitioner, and always insist on sterilized equipment. Before starting treatments, ask your doctor if acupuncture could worsen existing medical conditions. Continue doing treatments 1-3 times a week until you’ve lost the desired amount of weight, then follow up with your practitioner 3-4 times a year to ensure that you maintain a healthy weight. Acupuncture is most effective when combined with a healthy diet and regular exercise. Never do this process at home. Acupuncture done incorrectly can lead to bleeding, pain, swelling, weakness, drowsiness, infection, nerve damage, kidney damage, and lung puncturing. Pregnant women should be especially careful to only get acupuncture from professionals, as incorrect placement of needles can induce premature labor. During treatment, patients are advised to eat bitter and sour foods such as lemons rather than sweet, salty, or greasy foods. Also advised to take the herbs like shan zha, ban xia, lian qiao, shen qu and lai fu zi. They are available as tea for easy and quick consumption. Other than ear acupuncture, acupuncturists choose the number of appropriate acupuncture points on the body that include stomach, lung, kidney, ovary, thyroid and spleen that helps a person to lose weight. Discuss with your doctor or acupuncturist about how effective is inserting needles in the body (especially ear) and how it stimulate the release of endorphins and which in turn helps to speed up the metabolism. Ask your acupuncturist about combining abdominal massage and acupuncture to improve the digestion and absorption of essential nutrients from the food. Eat 5-6 small meals a day rather than 2-3 large ones which help to increase metabolism. Include complex carbohydrates, unsaturated fats, and lean proteins in every meal. WHO accepred that acupuncture is and effective treatment that used for weight loss program. 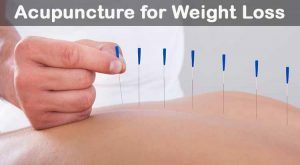 Acupuncture for weight loss NYC (New York) helps to lose weight based on the causes of overweight. if you gain in weight due to low functioning of thyroid or endocrine hormone related issues then they balance the spleen and kidney functions, strengthen the water metabolism to eliminate water retention and then they dissolves the fatty tissues to reach the desired weight. They mainly suggest the diet and proper exercise schedule to lose weight and reach the normal level. Have you tried acupuncture for weight loss? Check out this article for other effective home remedies and great tips that will make your body slim and fit without any side effects. Share your experience with us!